Previous message (by thread): [zeromq-dev] How to scale? > speaks with its clients. > queue for bidirectional communication. get it released. 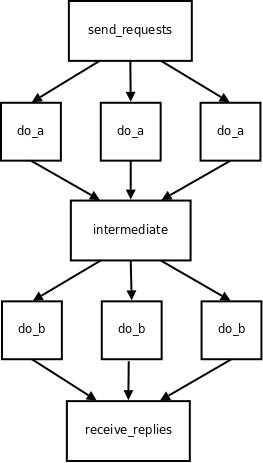 In the meantime, I'm attaching diagram of "butterfy"
> This sounds quite a bit like Erlang-style concurrency. language-agnostic infrastructure rather then a programming language. > parts and use 0MQ for this inter-process communication? finding out whether is would make any difference is kind of complex. in reviewing the text, I'll send you the link). code with unpenetrable and error-prone synchronisation code. standard critical section based approach.